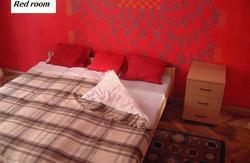 It is a combination of a summer hostel and a budget hotel in the center of Budapest. 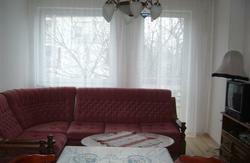 Central location is combined with low prices and good quality. It operates from 1st July to 31st August in 2013. Each room has a fridge, wardrobe, desk with chairs. By public transport from the airport: Get on bus nr. 200E in front of the terminal and get off at the endstation (Kőbnya-Kispest). Take the metro to Corvin negyed, then tram no. 4 or 6 (in direction of Mricz Zsigmond krtr or jbuda kzpont) to Mester utca (1 stop). Walk in direction of the river and turn right at Rday utca. Walk straight ahead 2-300 metres. From Nyugati railway station: Take tram 4 or 6 to Mester utca (in direction of Petőfi hd or jbuda kzpont or Mricz Zsigmond krtr). Walk in direction of the river and turn right at Rday utca. Walk straight ahead 2-300 metres. From Keleti railway station: Take the metro (M2) to Blaha Lujza tr (1 stop), then change for tram 4 or 6 to Mester utca (in direction of Petőfi hd or jbuda kzpont or Mricz Zsigmond krtr). 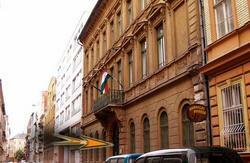 Walk in direction of the river and turn right at Rday utca. Walk straight ahead 2-300 metres. From Dli railway station: Take the metro (M2) to Blaha Lujza tr, then change for tram 4 or 6 to Mester utca (in direction of Petőfi hd or jbuda kzpont or Mricz Zsigmond krtr). Walk in direction of the river and turn right at Rday utca. Walk straight ahead 2-300 metres. From Npliget bus station: Take the metro to Corvin negyed (in direction of jpest kzpont), then tram no. 4 or 6 (in direction of Mricz Zsigmond krtr or jbuda kzpont) to Mester utca (1 stop). Walk in direction of the river and turn right at Rday utca. Walk straight ahead 2-300 metres.